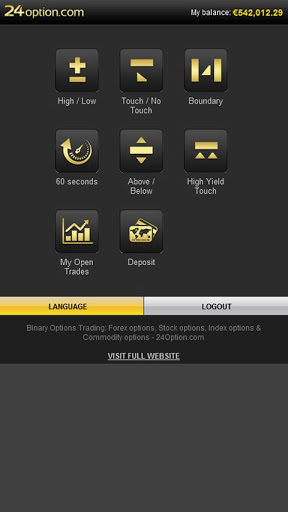 BinaryOptionsNow-Popular binary options broker 24Option recently announced the release of a brand new mobile trading app that will allow traders to trade binary options offered by the company on all existing mobile devices that are based on Android OS. 24Option revealed in a recent press release that due to the fact that the mobile binary options business is rapidly growing, the company decided to develop a new binary options trading app that will run on all kinds of mobile devices operating under the Android system. The new app will contain all the advanced features that are at this moment being offered by the normal web based trading platform provided by the broker. Features such as real time statistics, selection of multiple option types as well as charting capabilities will also be included in the new mobile platform. The availability of a mobile trading app has a lot of advantages over trading from a mobile web browser. Due to technological limitations, mobile web browsers are not able to provide the same trading environment as traditional PC based binary options platforms. Apps however solve this problem. 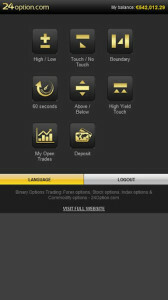 24Option was one of the first binary options brokers to introduce mobile binary options trading to the industry. However, in the past the mobile services provided by the company were only available on mobile web browsers. Now the company has brought mobile trading onto a new level. 24Option is one of the oldest and most successful binary options brokers. 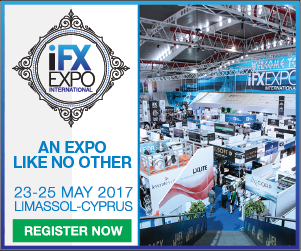 The broker permits traders to trade binary options using multiple assets such as indices, forex currency pairs, stocks and commodities. Trading is carried out on an advanced but elegant and user-friendly web-based online trading platform. This means that traders will not have to download and install a complicated trading platform onto their computers. The broker is one of the few binary options companies that provide all the existing types of binary options which are high/low options, one touch options, boundary options and options with expiration times of just 60 seconds. Most other brokers only offer high/low options to their clients. 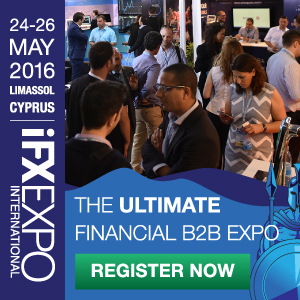 The average payout rates offered by the broker are around 80% to 85%, which is somewhat above the industry average. However, traders will also have the possibility to trade on so-called high-yield binary options that have payout rates as high as even 200% and 350%. The broker makes it possible for traders to deposit and withdraw money using a large variety of payment processors and baking tools such as VISA, MasterCard, wire transfer, Liberty Reserve, Giro Pay, Moneybookers and much more. Deposits will instantly be credited into traders’ accounts while withdrawals will always be carried out within reasonable time frames. As explained initially, 24Option is also one of the first brokers that have introduced mobile binary options trading into the options trading industry. At this moment traders have the possibility to trade binary options from all kinds of mobile devices either on a mobile web browser on a special mobile binary options app. If traders wish to contact the broker and have a talk with a support representative then this can be done though telephone, email, and live chat. In out opinion, live chat is the most efficient tool since traders will be able to save conversations for later reference.